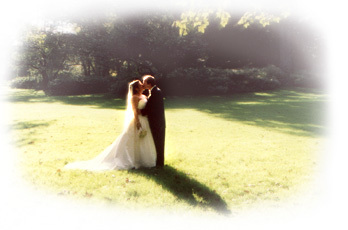 At Creativisions, we are dedicated professionals producing superior wedding videos and photography. We shoot them ourselves so you will have the peace of mind that your memorable day will be of highest quality. Elegant, creative, and professional style is what you need to preserve every special moment for generations to come. Combined with our knowledge and skill, we can give you results you expect. From photo journalistic approach, candid, posed and portraits, making every occasion unique and unequaled. We now offer Winter Wedding Specials. from the months of December till March 15. #We have produced production manuals and training videos to train people how to be competent in video and photography. Not only that we do beautiful weddings but also special events, parties, graduations, Baptisms, Bar/Bat Mitzvahs, MTV's, documentaries, and more. We ensure the quality by using latest digital professional equipment in order to give you stunning results. We are here to do business and at the same time help you with your imaging needs. Walk through our site and discover. We always bring extra equipment everywhere we shoot. For video, our equipment are the latest 3 chip Digital Video (DV) camcorders which are higher in quality than S-VHS which was rated best years ago. For photography, we only use Medium Format cameras with full line of lenses to fit any location that also extends our creativity. We use Media 100 non linear editing systems in putting together your memories. We can produce MTV style videos with all the possible effect you can imagine with Adobe Photoshop and After Effects. Give us a call to know more about how we can provide the result you want and save you time and money. DVD - Digital Video Disc now available.